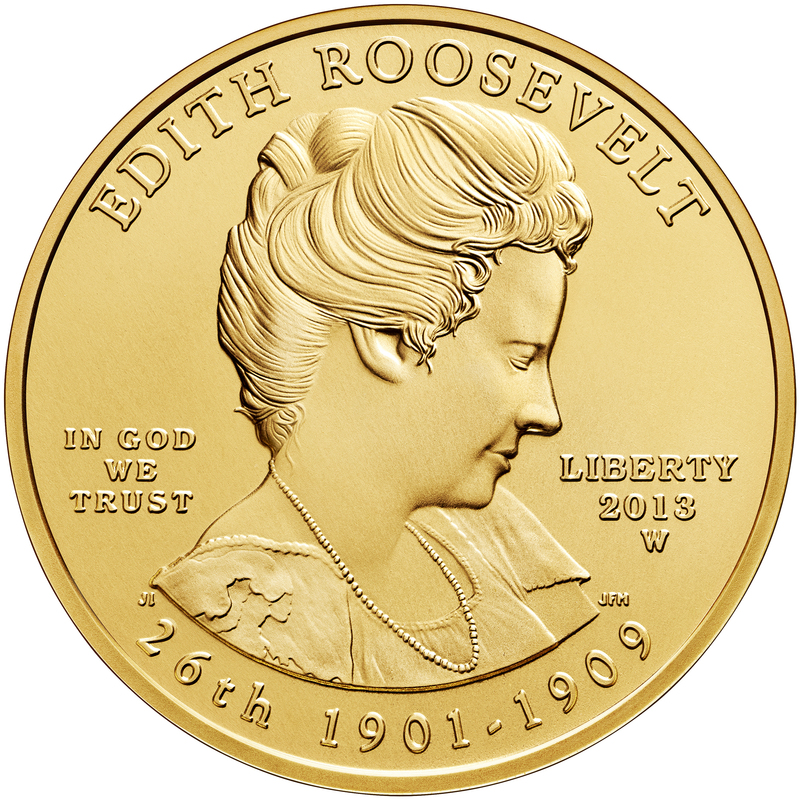 Edith Kermit Carow Roosevelt was born August 6, 1861, in Norwich, Connecticut. Growing up in New York City near Union Square, she was a frequent visitor to future President Theodore Roosevelt’s grandparents’ home and became a childhood friend of his and his younger sister Corinne. Years later, Roosevelt was a young widower with an infant daughter, and he married Edith in 1886. 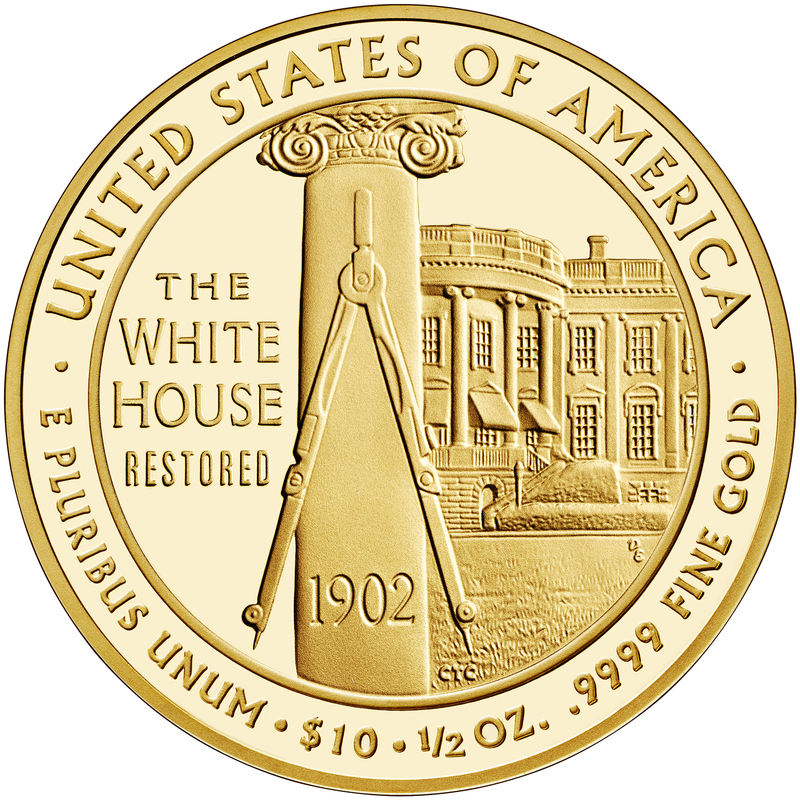 After the couple arrived at the White House in the wake of the assassination of President McKinley in 1901, the new first lady approved and supported interior decoration during the renovation of what is now called the West Wing of the White House. This included enlarging and modernizing the public rooms. 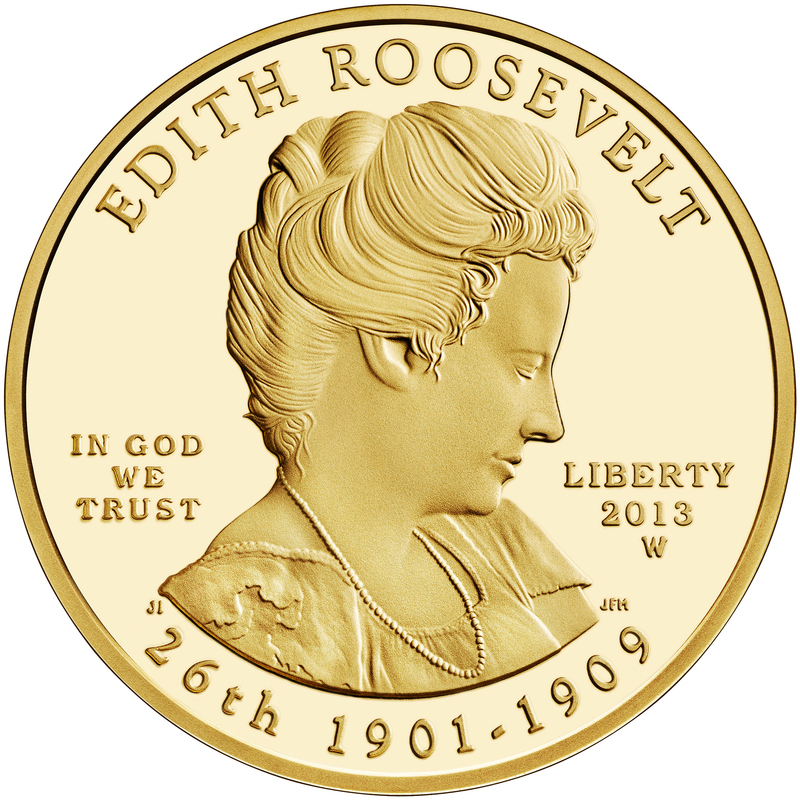 She also established the tradition of hanging portraits of the first ladies on the ground floor of the White House. After President Roosevelt’s death, she returned to their home in Oyster Bay, Long Island, and frequently travelled abroad. She died in 1948. 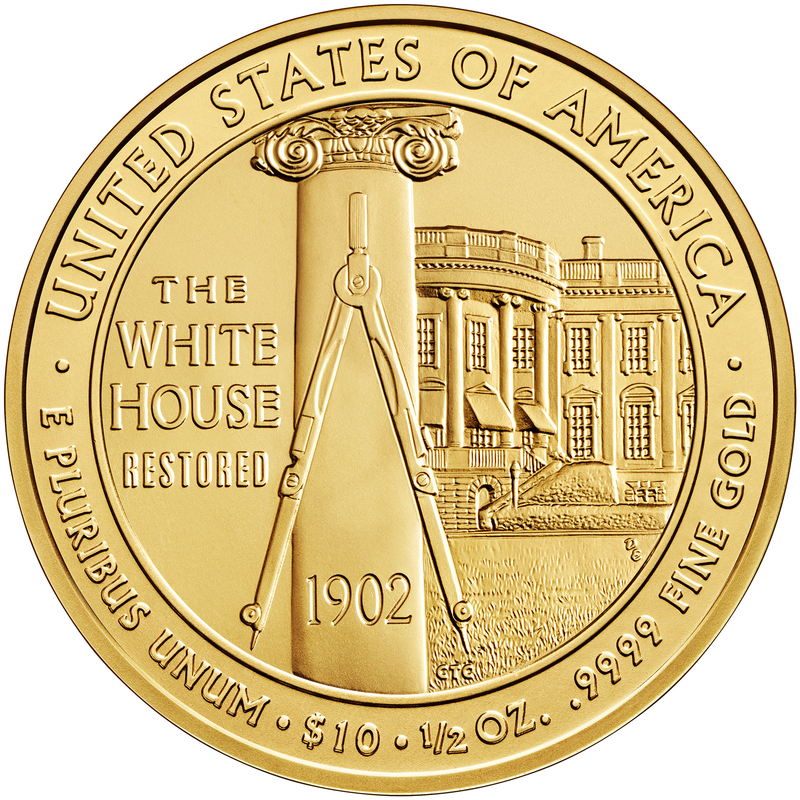 The reverse features the White House with a slightly off-center column and compass, representing Mrs. Roosevelt's work in the restoration of the White House in 1902.